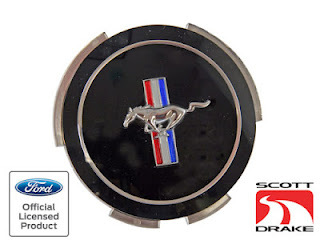 1965 Mustang Hubcap Center Emblem. 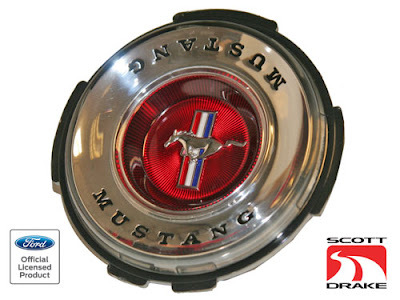 We now have hubcap plastic center emblems available for 1965, 1966, and 1967 Mustangs. These are for the standard hubcaps. 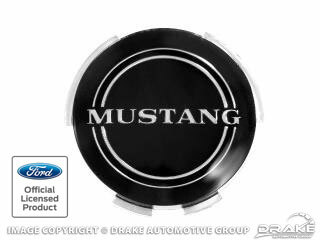 With the increasing popularity of using wheel covers on Mustangs for that "old school" look, we are very pleased to see these emblems available. They also are super quality parts with very nice detail making them just about impossible to tell from the originals. 1966 Mustang Hubcap Center Emblem. 1967 Mustang Hubcap Center Emblem.